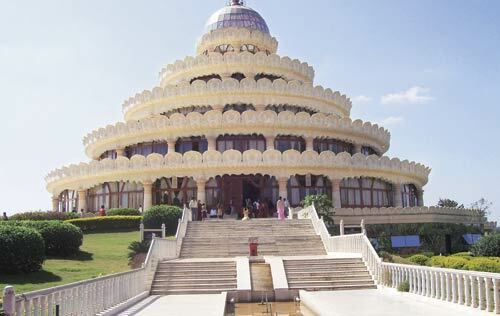 The Art of Living International Center, started in 1986, is situated on the top of the Panchagiri Hills, 24km southwest of Bangalore, near Udipalya village. 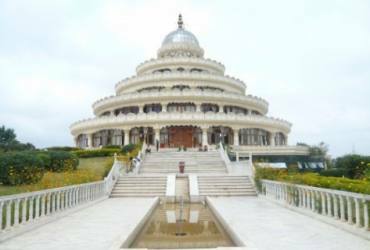 The campus is spread over 65 acres, with an abundance of flowering foliage spread along winding footpaths, a peaceful lake and the exquisitely beautiful Vishalakshi Mantap, the central meditation hall. Satsangs are gatherings where scattered minds unite through music, meditation, and wisdom to experience a higher state of consciousness. People from all over the world who know different languages participate in the singing of bhajans, or the repetitive chanting of a word or a verse. Seva (voluntary service) is an integral part of the activities in the ashram. One can experience the humble satisfaction that comes from doing selfless work here, from serving food in the kitchen to keeping the premises clean.